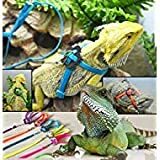 You may be wondering what’s happening if you see your Bearded Dragon one day looking a dull grayish/white. He may be cranky, listless, or not eating. Don’t worry, it’s the bearded dragon shedding process taking place. 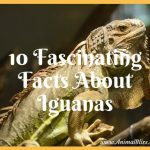 It’s also known as ‘molting’ and all reptiles go through it. 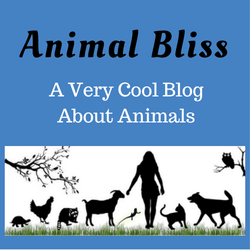 DISCLOSURE: This article may contain affiliate links, which means if you buy something by clicking on an affiliate link, I will earn a teeny tiny commission to keep Animal Bliss going. So buy a Jaguar. Please. Buy a Jaguar. We might be cranky too if our skin was sloughing off. It’s not a vanity thing, but I imagine it might be itchy? I don’t know. My dragon, Shirley, won’t share her experience with me in so many words, but she does seem to go through something less-than-pleasant during her shedding days. Shirley tries to rub her loose skin off by scratching, rubbing against the log or rock in her tank, or on furniture or carpet. 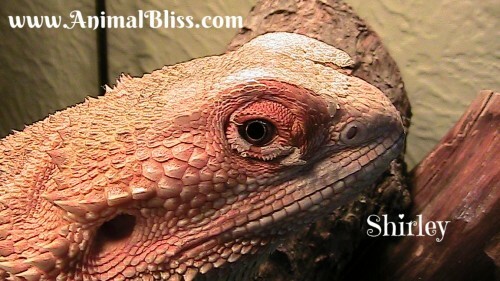 How often does the bearded dragon shedding process occur? Young lizards shed more often than older ones because they have a faster growth rate, so where a juvenile might shed every 3-4 weeks, up until they’re a year old, an adult might only shed once, maybe twice a year. Dragons usually don’t shed their skin all at once either, not like a snake would. Shirley’s last bout was just her head and thighs. At the moment, she’s shedding under her chin and belly. 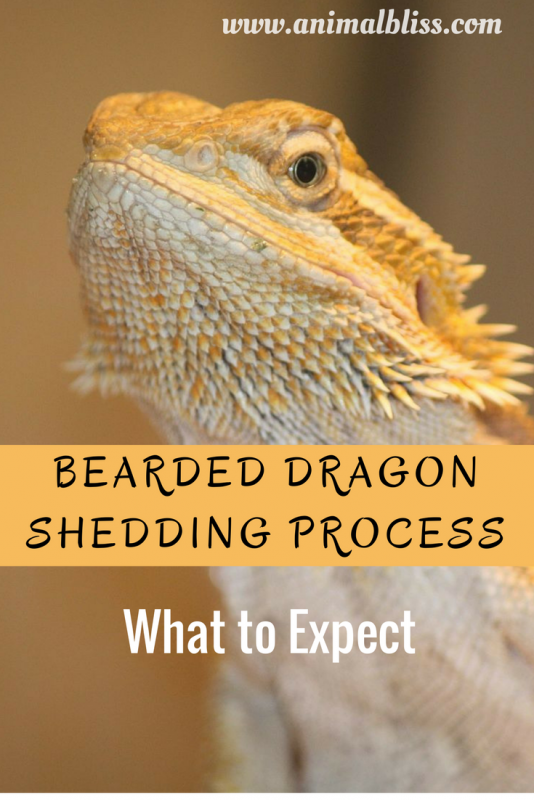 The bearded dragon shedding process can happen over several days, to several weeks, stretching the whole darn thing over a few months. 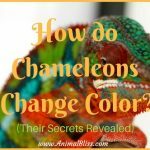 Once your dragon has finished shedding, you’ll notice the skin has brighter and more vibrant colors. My Shirley comes out of a shed with the most beautiful orange/pink skin. It’s an unusual color, I think. This is a new skin, as she has outgrown the old. 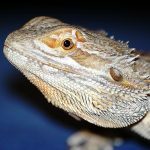 Bearded Dragon Brumation Symptoms: What Should I Do? Well, I always want to help her out and speed up this miserable process by peeling off her old skin for her. You know, like people do with sunburned skin that’s sloughing off. Resist the temptation, though. You can damage the new skin if it’s peeled off too early. 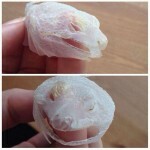 If the dragon is not ready to shed, and you peel off loose skin, the skin underneath will be damp. That’s not a good thing. This leaves it open to bacteria and mites if there are any around. The biggest concern with peeling off the skin before it’s ready to come off naturally is damaging the skin underneath, which can lead to infection and problems with shedding the next time. Let dragon nature take its own course. You could, however, help by misting your dragon every couple of days with a spray bottle of water. High humidity can easily cause respiratory infections in dragons, so use the misting method with caution. The safest way is to give it a really good soaking in a tub of warm water (no soap, please) — maybe 10-15 minutes or so– not too hot! Make the water deep enough that they can swim in it, but shallow enough that they can stand in it. Monitor your dragon at all times. Don’t leave it there by itself! Dry him off completely before putting him back in his cage. We don’t want bacteria growth due to moisture. Some dragons love the water and can’t wait to get in. Shirley, on the other hand, doesn’t like her baths at all and tries to get out right away. To each their own! While I have her in there, though, I use an old toothbrush to ‘comb’ her. She seems to like that — maybe it feels like a massage or that I’m petting her. 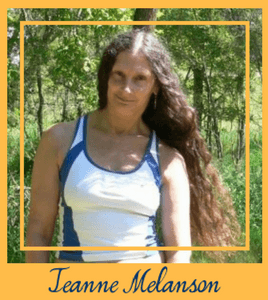 What it does is it helps to soften the old, loose skin and help the speed up the process. 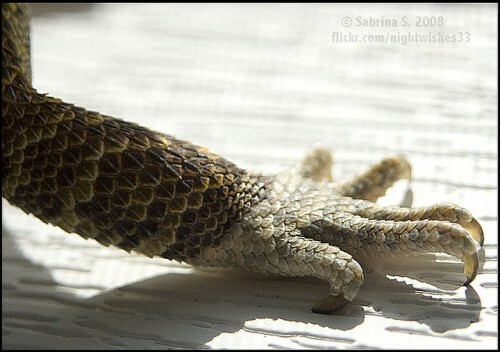 Sometimes it can happen that old skin isn’t shedding, especially on the tail, toes, nails, and spikes. This happens more often in juveniles. That old skin can restrict blood flow to the extremities as it shrinks and dries, making them susceptible to necrosis of the tissue. This can potentially cause tail rot, ending up in the loss of a toe or end of a tail. 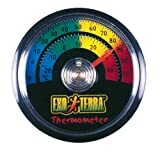 First, check to make sure the temperature and humidity in your tank are correct. 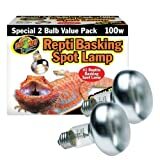 Is there a good UVB source? 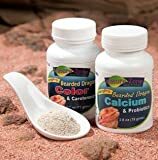 Is your dragon getting the proper nutrition? If your dragon loves the water, provide a shallow dish of water they can soak in at their own discretion. 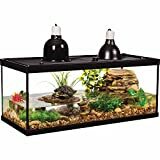 (They’ll probably poop in it too, so change the water every day or whenever necessary.) Water is the best way to help in the shedding process. 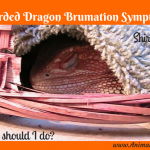 Has your Bearded Dragon gone through a shed? Sienarw, she’ll be fine. Just let her shed naturally, in her own time. Thanks for stopping by. 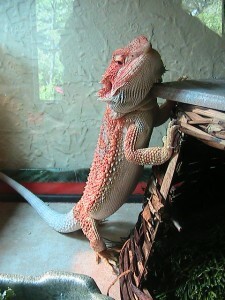 dragon foods at Petco….but no interest….any suggestions? 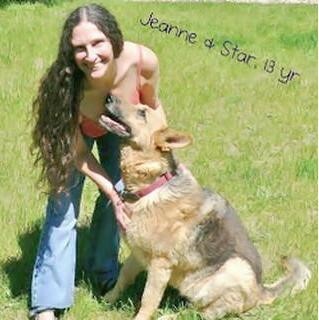 Hi Jeanne. Frankie (cute name for a girl) has most likely grown to her full length, but she will continue to grow some. Every time she sheds will be a sign that that’s still happening. 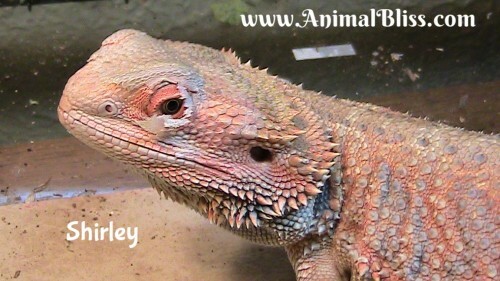 My Shirley is 4 years old and 19″ long now, which is about average for a female. Franking not wanting to eat greens or fruit? Welcome to the club. I used to practically starve Shirley, waiting for her to cave in, but in the end, I was the one to give in. Now she’s not even interested in crickets anymore. Sheesh. So sorry, I have no practical advice for you there. The general ‘role’ is to hold off like we’ve done, but they’re stubborn. Good luck, and all the best to you and yours. hey. so my bearded dragon finally shed in early November. now that December has come around she’s started shedding again, its been a little over 2 weeks since the final parts of her last shed came off. is this something I should be worried about? she’s just had her first birthday at the very end of November. before she shed I had taken her to the vet and got a few issues sorted out. as soon as she had fully recovered she began to shed. my mother suggested that it may just be her growing so quickly now that she is well again. any advice would be helpful on this. I have had my bearded dragon for a under 6 months. she was 5 months when I got her. I have not seen her shed yet. should I be worried? she has shown no signs of beginning the process and hasn’t grown much since I got her but she eats regularly and everything else is normal. can anyone tell me if I’m missing something that may be a problem? she is my first beard and its been a constant worry since I’ve got her that I’m doing something wrong. Hi Samantha! 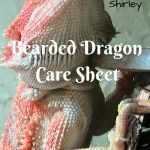 It sounds like you’re taking very good care of your Beardie. I’m curious. Does he drink from the water bowl? Mine won’t. I have to give her water to drink from an eye-dropper. When I first got Shirley, she was 5 inches long and now she’s almost 19 inches long! (3 years old) Scratching at the glass is normal at any time. It means he wants to come out and visit. I let Shirley run around the house when it’s warm and there aren’t people around to stomp on her. She ends up running to the patio doors and sitting in the sun there, or looking out a window. Thanks for stopping by! I appreciate it. Thank you. 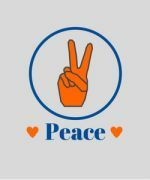 I am trying my best. I love animals <3 He is my first beardie I have owned so far. Hopefully to get more in the future 😀 Whats interesting is when i first got him from the pet store and showed him the water bowl, just took my finger and swirled around he was actually fascinated by it and now i think he put his face in the bowl kinda got his nose wet , like when humans get water up their nose, he was like oh no.. so now i dont see him do it or maybe he does when i am not looking. Giving him the warm baths frequently has really helped his shedding move quickly. Here’s a photo of him doing the incredible hulk move, it was really neat and awesome to see him expand his body. Black? or just dark. They do appear darker during the shedding process. The new skin will be much brighter. Thanks for asking. Some dragons do eat less during the shedding process. No need to worry unless she is losing weight or appears sick. Hi I have a juvenile dragon I think it is a girl was supposed to be a boy I noticed that she is sheading it seems to be coming off by itself she is so loving and love’s to snuggle which leads to her name sunggles. I am new to this I got her for Christmas.i feed her mostly greens and some fruit. 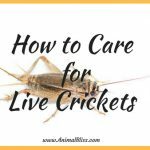 Crickets and super worms every now and then. Her coler is a lot better and seems to be healthier since I started to do this. How can I tell when she becomes a adult by her size? Congratulations on getting your first bearded dragon. That’s fun. I would have to see a photo to really have an opinion about this. I’m assuming the rest of his body looks okay? Keep a close eye on that and see a Vet if it looks like it’s getting worse. It may be some sort of fungus. Thanks for visiting Animal Bliss. Thank you so much for the information, I’m new to bearded dragons and just got one she is six months old and in the shedding process she just seems listless doesn’t want to eat and I was just wondering if that was normal? Hello Kay. Congratulation on getting a bearded dragon. Yes, it’s normal for a dragon to hold back on food a bit when shedding. They’re pretty miserable, as you can imagine if your skin was getting ready to flake 🙂 And, if she’s pretty new to your household, that could be why too. Just as long as she looks healthy. Keep giving her water to keep her well-hydrated. What did you name her? Cheers! Hey, Chloe! I’m glad you stopped by. I thank you for the opportunity to use Amelius’ photo. How old is she now?